1.) 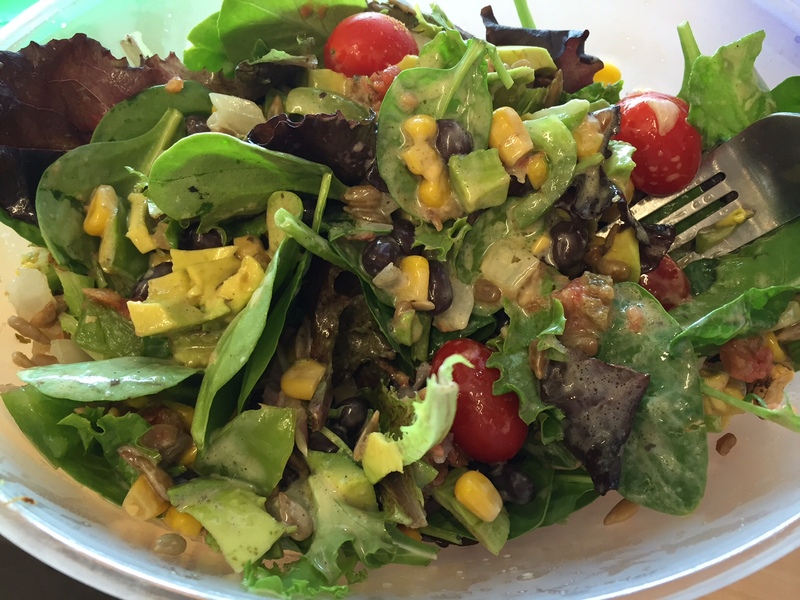 Top spring mix with black beans, corn, tomatoes, green pepper, sunflower seeds, and cumin. If serving the salad right away, top with rest of ingredients and toss. 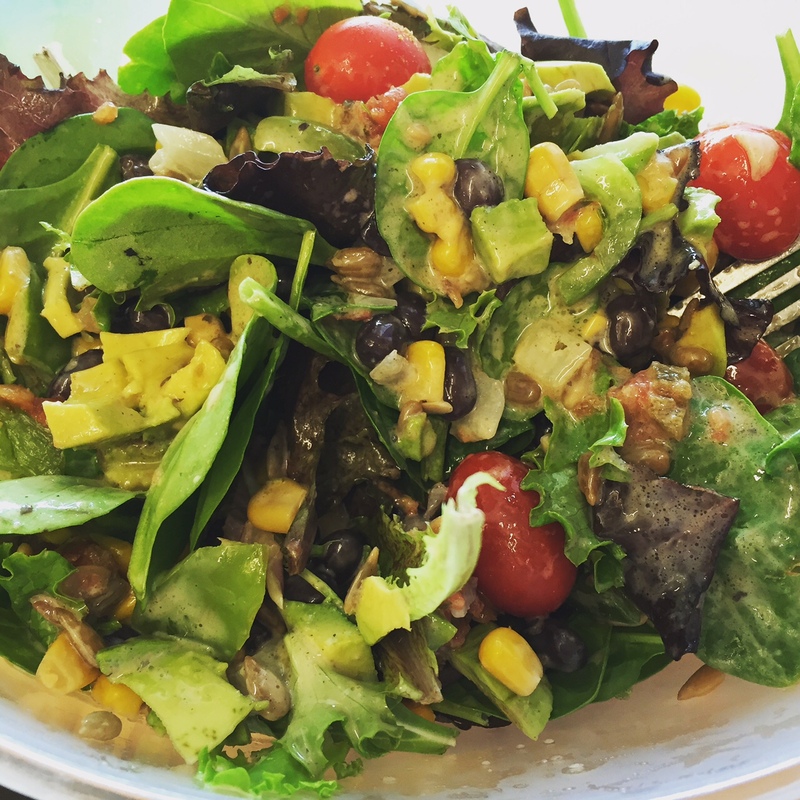 If eating one serving at a time, top each serving with 1/2 an avocado, 2 tbsp salsa, 3/4 tbsp cilantro lime ranch, and 1/2 tbsp oil. Enjoy!